Elsewhere, Barcelona loanee Paco Alcacer is set to make his Borussia Dortmund debut against Eintracht Frankfurt on Friday, while Saturday will see the Bundesliga's oldest and youngest coaches go head to head in Duesseldorf. 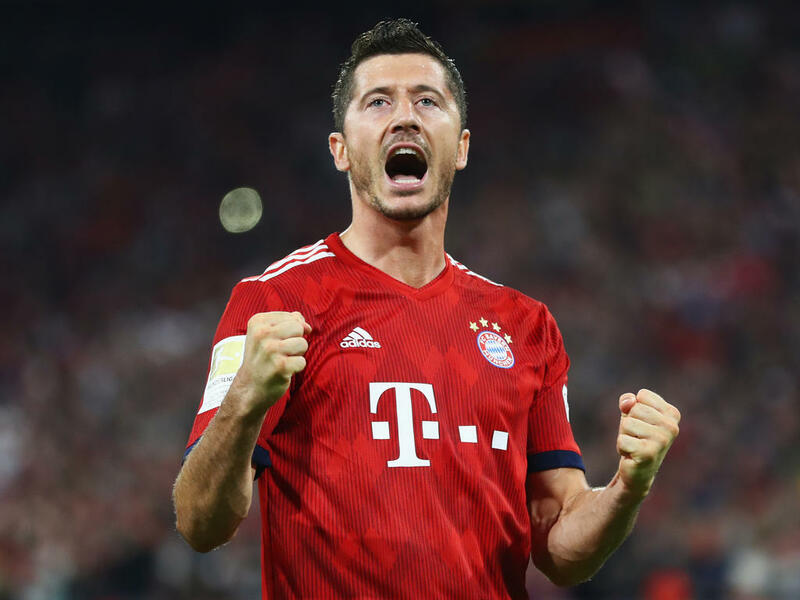 Yet Bayern's star striker is now back to his best, having scored in both Bundesliga games so far this season. "Bayern are the best in the business but we have to go there and seek out chances," under pressure Leverkusen coach Heiko Herrlich told SID, an AFP subsidiary. Dortmund hope that the former Valencia hitman can be the solution to their problems in the centre-forward position, and fans may see him in action for the first time in Friday's clash with Eintracht Frankfurt. "Paco links up with team-mates well and is very skillful in front of goal," said Dortmund coach Lucien Favre. Yet after two defeats from two this term, Tedesco is now under huge pressure ahead of Saturday's headline clash with Borussia Moenchengladbach. "I'm not naive, and I'm not going to rest on my laurels and expect only to be given credit for last season," the Schalke coach told SportBild this week. RB Leipzig have also made a wobbly start to their Bundesliga campaign, and coach Ralf Rangnick will be hoping that his "wheel of misfortune" can turn his team's luck around. Leipzig have picked up just one point from their opening two games, and host a well-disciplined Hanover side on Saturday. As Bild revealed this week, Leipzig players no longer receive fines for indiscretions, but instead have to spin the wheel of misfortune. The wheel can land on any of 12 different punishments, ranging from groundskeeping duties and shifts in the club fan shop to being forced to wear a ballerina's tutu in training. The Bundesliga's oldest coach will meet its youngest when Fortuna Duesseldorf host Hoffenheim on Saturday. "Thankfully, it's going to be eleven players against eleven players on Saturday," Funkel joked. "If I had to play one-on-one against Julian, I wouldn't stand a chance!"